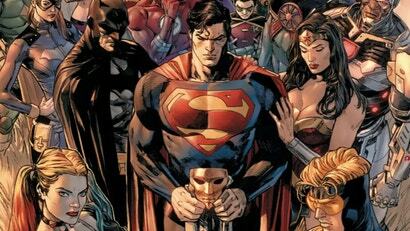 It’s impossible to listen to writer Tom King talk about DC Comics’ upcoming Heroes in Crisis series without gaining a new appreciation for the larger narrative project he’s been crafting across other comics, such as Mister Miracle and Batman. Comics writer Tom King's work is at its very strongest when it's focused on the internal, emotional struggles characters are going through as they're also fighting to save the world. King's upcoming DC Comics limited series Heroes in Crisis lives in that space.